This week, I am continuing with a list of three more women who are awesome writers in the Speculative Fiction genre. The first up, is a woman I started reading and thought…was a man. 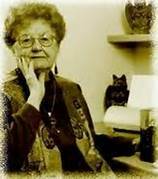 Andre Norton, born Alice Mary Norton, was burn in Cleveland Ohio in 1912. Because Science Fiction was notoriously known as a male dominated genre, Alice legally changed her name to Andre Alice Norton in 1934, as she was already writing fantasy. Her first published sci-fi work was a novella titled, “The People of the Crater”, and was published in the inaugural issue of Fantasy Book. Her first sci-fi novel, “Star Man’s Son, 2250 A.D.” was published in 1951. Norton was the first woman to receive the Gandalf Grand Master of Fantasy award and the first person to receive the SFWA Grandmaster Award. And if that’s not enough, she has an award named after her–The Norton Award for Outstanding Young Adult Science Fiction or Fantasy Books. Such notable winners include, J.K. Rowling, Terry Pratchett, and E.C. Meyers. Yeah, she’s all that and a bag of chips. I have read her novel “Storm Over Warlock” and was blown away by her world-building and imaginative aliens and characters. I intend to read, “Star Born”, “Star Hunter”, “Plague Ship”, “Voodoo Planet,”, “Gifts of Asi”, and “The People of the Crater”, before the end of next year. Next up we have the Queen of Science Fiction (and dragons) Ann McCaffrey, who began publishing in the 1950’s and kept going strong for over 50 years. 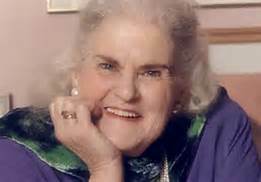 She served as a secretary for the Science Fiction and Fantasy Writer’s of America, handcrafted the Nebula Awards and wrote some of the most famous novels about dragons. Her series, “The Dragonriders of Pern”, which she started in 1967, has become a franchise of its own. Spawning 23 books, 2 novellas, a short story collection, video games, video game companion books, music and a graphic novel. Born in 1926, Ann’s first novel was written during Latin class. Needless to say, since it wasn’t written in Latin, she didn’t receive an A. 1967 saw the publishing of her first novel, Restoree. Her next published work, Weyr Search, a novella which makes up the first half of Dragonflight, came soon after. From there, we have a history of works rich in imagination, compelling story lines, oh and yes, dragons. Her son, Todd, took over the series in 2004. Last but not least of my esteemed Ladies of Speculative Fiction is… Barbara Hambly. The author of the “Winterlands” trilogy (I just started reading this series) fell in love with the fantasy genre after reading The Wizard of Oz when she was a kid. Influences of Oz, Mary Poppins, Star Wars and The Beatles can be found throughout her work. Others in her repertoire of sci-fi and fantasy include the “Sunwolf and Starhawk” series, “Sun-Cross”, as well as 2 Star Wars novels–“Children of the Jedi” (this rocked) and “Planet of Twighlight”, and 3 “Star Trek” novels–“Ishmael”, “Ghost-Walker, and “Crossroads” (awesome). I first fell in love with her writing when I was reading “Children of the Jedi”, and have loved her ever since. Her ability to weave dialogue, description and emotion is incredible. Don’t forget. My first published poetry collection, Freedom: Poetry From a Life, will be released on September 1st. For each comment you leave over the next month, you will be entered into a contest to win an autographed copy of the book. For those who sign up for email subscriptions to my website, you will receive two additional entries into the contest. That’s a total of 3 possible entries at the very least. Join me next week when I introduce you to my list of favorite “Storming the Castle” scenes in sci-fi movies.